This was another lovely new born shoot with the gorgeous baby Grace. Grace was so perfectly behaved and slept for most of the shoot. Most babies are a bit unsettled for some of each shoot - it is to be expected and it really doesn't matter at all, hence all shoots involve as many milk breaks as are required! Grace was so settled throughout the whole shoot though, she was a star! If baby is sleepy it is much easier to get the lovely crunched up poses. Having said that, it is also nice to get some of baby awake, and we got some fab shots of Grace with her big eyes open as well! 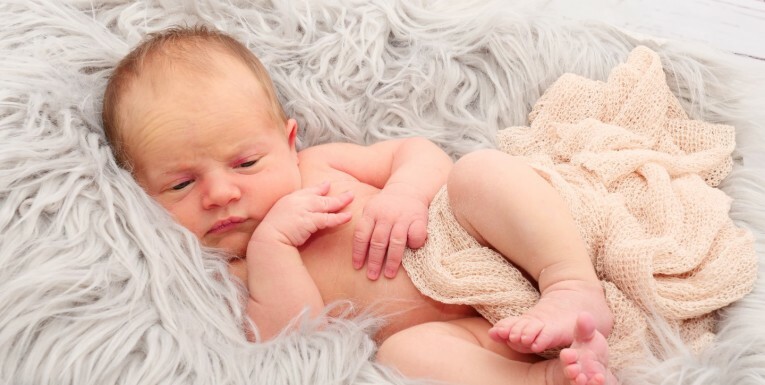 For a newborn shoot I start with photos of baby on his or her own, then add in parents and / or siblings if required. It is nice to get as many images as possible as these first few days go so quickly and little ones change so fast. I am so lucky that my work involves capturing these precious times. ... we particularly love the natural shots that you seem to have such an eye for ... The photos really do reflect the atmosphere of the day. Thank you for the way you handled everything ... you were efficient, professional, relaxed and unobtrusive, and it was great to how much you obviously love your work.